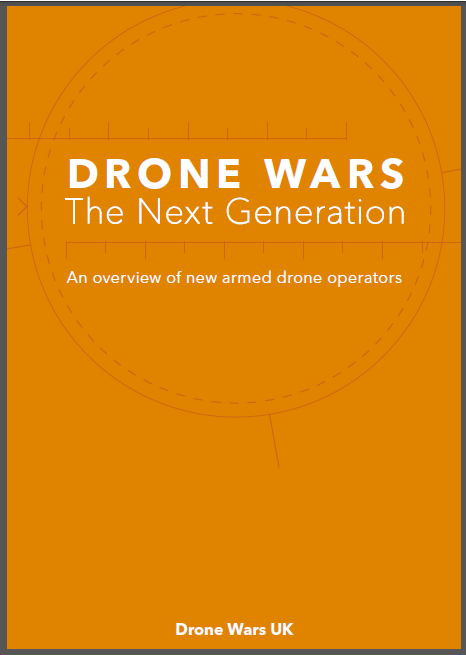 Analysis of figures released in response to Freedom of Information requests by Drone Wars UK indicate that the UK has spent £1.75bn on armed air missions against ISIS in Iraq and Syria since August 2014. It should be noted that the overall cost of UK military operations in Iraq and Syria will be much higher. Strikingly, the data shows that at £268 million, the cost alone of the weapons fired over the last 3½ years is more than the total amount the UK has spent on humanitarian assistance in Iraq (£210 million) in the same time period. The full cost of flying the UK’s armed aircraft (Tornado, Typhoon and Reaper) for more than 42,000 hours is almost £1.5 billion. 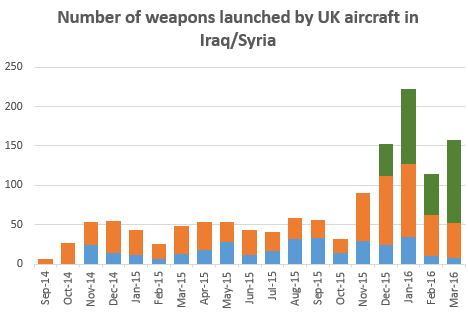 While these are huge figures, the UK’s 1,700 airstrikes are just a fraction of the enormous number of air strikes launched in in Iraq and Syria over the past 3½ years. According to figures compiled by Airwars, the US-led Coalition as a whole have launched 29,000 air strikes using more than 105,000 bombs and missiles since 2014. Extrapolating from UK figures, the financial cost of just the bombs and missiles used in Coalition airstrikes is around £8 billion ($10.5bn). As always in war time, someone is making a killing. 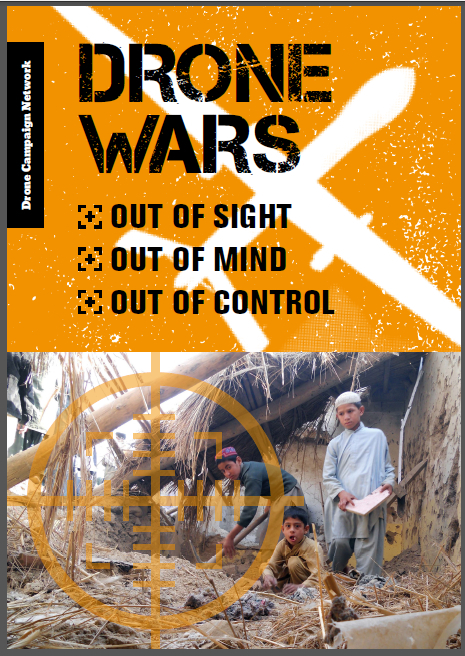 But of course, it is not just the financial cost of war that is being hidden. Civilian casualties are virtually invisible in mainstream reporting and the public consciousness. While Airwars has recorded over 6,000 civilian deaths from Coalition airstrikes in Iraq and Syria, the US only admits that around 841 civilians have been killed. The UK, publicly at least, continues to insist that there is no evidence any of its air strikes have killed or harmed civilians. The remote nature of today’s wars means that the financial and human cost of aerial bombing becomes virtually invisible and therefore more difficult for us to comprehend. The danger is that without a proper grasp of the costs and consequences, there is less resolve to bring wars to an end as quickly as possible. Perhaps that is why there has been silence in parliament about UK air strikes continuing in Syria, even though Iraq has declared victory over ISIS and secured its borders, the stated aim of the intervention in the first place. Weapons costs: Number used: FoI responses. Unit costs: Paveway IV; Hellfire; Brimstone; GBU-12; Storm Shadow. Enhanced Paveway II & III: estimated.